As director of our part-time PhD programme, GPAC², I tell all our fellows how much of an investment it is to complete a PhD even via the full-time route — which I personally found difficult enough! On the part-time programme, you do your day job, take care of loved ones, and still need to invest time and energy in study. It’s a big ask, but totally doable! How exactly depends on the person, though. That’s why we invite our top alumni to provide tips and tricks first-hand about completing on time. 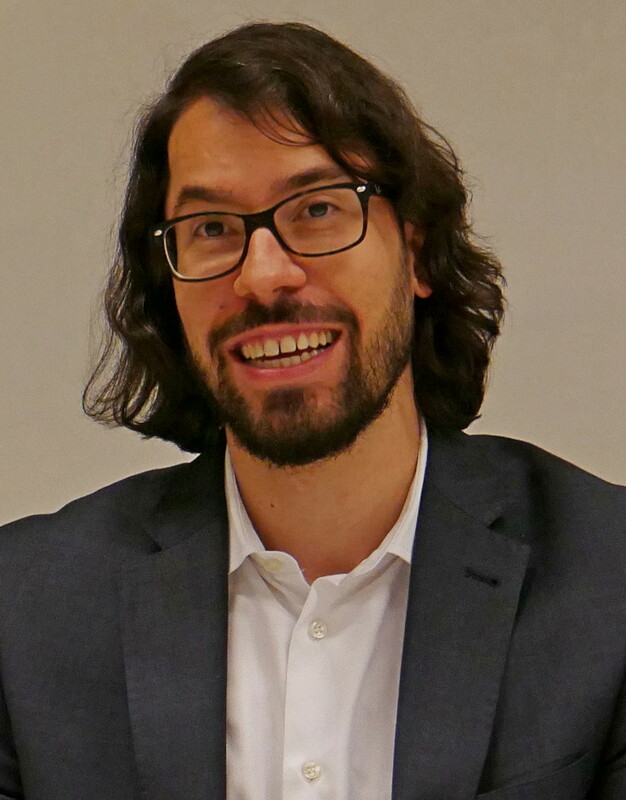 This year we invited Dr. Andrea Milan, who now works as a Data Officer for the Global Migration Data Analysis Centre, International Organization for Migration in Berlin, Germany. 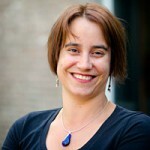 Andrea, you recently met our new GPAC2 PhD fellows. What did your session cover? The session focused on the lessons I learned from my GPAC2 PhD experience. In the first part, we discussed working towards a PhD in the context of a busy professional and personal life. They were particularly interested in concrete tips on issues such as working effectively with supervisors and developing support systems that can make their lives easier. The second part of the session was even more interactive, with an extensive discussion on how the first year at GPAC2 may look like and how fellows can work effectively on the PhD proposal. You finished your GPAC2 PhD in 2016. Back then you worked for UNU-EHS and combined your research job with your PhD study. What three lessons did you offer our new students? First, I encouraged them to plan both for the long and the short term. I shared my experience of weekly plans: every Sunday I evaluated how my PhD week had gone, and planned for the following week. This simple process allowed me to always start the week with a clear idea of what to do for my PhD, therefore enhancing my productivity. In addition, reviewing my PhD progress on a weekly basis allowed me to understand quickly what worked and what did not work for me. Through this process I realised that reading when I had less than one hour and writing when I had more than one hour was the best way to allocate my time in year one. The second suggestion I shared was to think about their path towards the PhD through short-term, achievable goals. 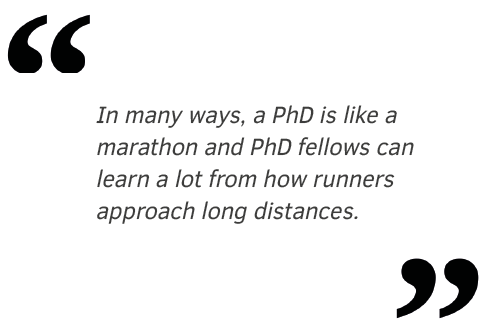 In many ways, a PhD is like a marathon and PhD fellows can learn a lot from how runners approach long distances. In particular, there is a reason why runners think one (or few) kilometres at a time, while keeping in mind the final goal; thinking about running more than 42km would be very tough mentally and physically. Writing hundreds of pages of text that is up to high academic standards can look like a very steep mountain to climb, and I believe that thinking one step at a time is crucial for fellows to have a positive and successful PhD experience. The third lesson I shared was the importance of rewarding myself for progress. In year one I was setting unrealistic goals and I kept getting frustrated about not achieving them, until I realised that my plans were simply unrealistic. From year two, I started planning for three PhD weeks per month; my fourth week would be free if I completed my first three weeks. Whenever I managed to finish my month in three weeks, that fourth week without PhD work felt good, because I deserved it! You’re now working for the IOM in Berlin. How does your job connect to your initial research interest? I am a Data Officer at the Global Migration Data Analysis Centre (GMDAC) of the International Organization for Migration in Berlin. One of the main reasons why I took my PhD is that I wanted to move beyond the migration, environment and climate change field and work on migration issues more broadly, and I think that the PhD helped me move in the direction I wanted to take. Today you not only met the GPAC2 students but also our MPP students. How does a degree in public policy match a career at IOM? My session with the MPP students focused on IOM and the data work that we do at the Global Migration Data Analysis Centre in Berlin, including on migration governance indicators. We also had the opportunity to discuss how their degree could help them find internships and jobs at IOM and other international organisations. Migration is an increasingly central topic for public policy at all levels, so I would not be surprised if one or more of the students joined IOM in the future. I wish them good luck!